Our Amish Prarie Mission Double Shelf TV Stand is a petite entertainment center -- perfect for a smaller space. 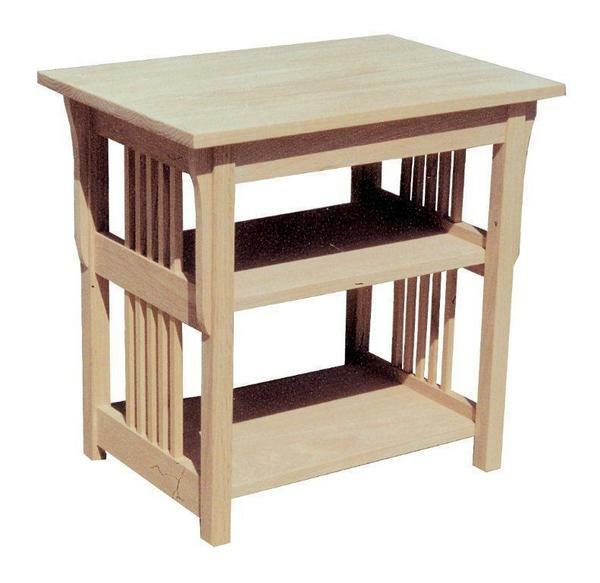 Measuring 16 1/2" x 24 1/2" x 24, this stand includes mission-style corbels and slats. A solid wood top will support your television while two open shelves provide storage for a DVD player or DVR, movies or decor.